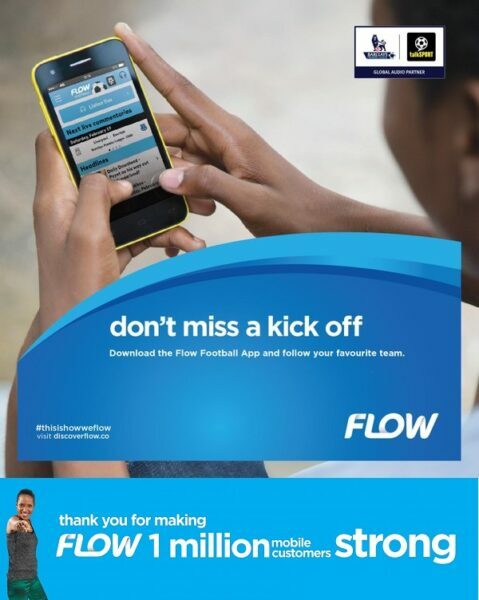 Now that FLOW Jamaica has hit 1 million customers since Friday May 20th 2016 as per the gigantic cake in How Flow Jamaica celebrated 1 million customers with a 99 cents FAM Plan, one wonders if FLOW Jamaica has Apps to play with. Digicel’s ad-blocking escapades suggest a future partnership with local App Developers to make gaming and business apps for their fairly popular Digicel AppWorld Store in exchange for advertising partnerships as predicted in Why Digicel More may woo Jamaican Developers with Advertising partnerships. So where is FLOW Jamaica‘s App Store in comparison to the Digicel AppWorld Store? FLOW Jamaica‘s App store is somewhat threadbare when compared to Digicel AppWorld Store with only four (4) Apps. After all, Digicel Jamaica has a nice growing collection of App in their Digicel AppWorld Store with Apps such as Digicel AppSeeker that help to recommend Apps suitable for Digicel’s customers as parlayed in Digicel launches AppSeeker on DL810 and DL1000 and MyDigicel on Apple iTunes Store. Well, there is the Flow ToGo App, which basically allows you to stream FLOW TV on your smartphone or tablets. You’ll definitely need Wi-Fi to fully enjoy streaming in a web browser, as FLOW clearly didn’t think this App through thoroughly, as this App will easily exhaust your Data plans as detailed in FLOW Jamaica’s 30-Day Prepaid Mobile Internet gives you 99 cents Plan. 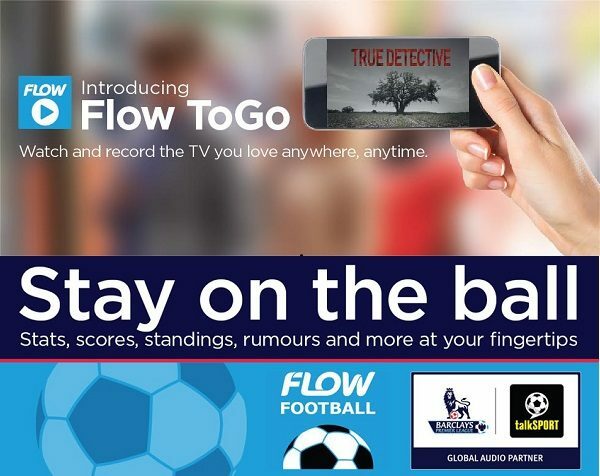 Then there is the Flow Football App that effectively acts as a streaming radio for football, allowing you to listen to live games and get the latest stats on any football games that may be on FLOW TV. So what else does FLOW Jamaica have in their FLOW App Store!? Need to store stuff on the Go? Well, you’re in luck, as the Flow MyCloud is probably the most useful of the Apps that they have. Flow MyCloud allows you to store your files and use them on any smartphone, computer or Tablet once you have a good Wi-Fi connection. Tailored to FLOW customers, this App is a gem in the FLOW Jamaica store and may be their star App. Jamaicans need to realize its usefulness in storing a backup of documents, music and video files in case your phone gets stolen. It’s also a demonstration of FLOW Cloud Computing capability, which may one day rise to rival that of Digicel’s Cloud Backup Services as per my analysis in Digicel’s Cloud Backup Services – A deep Analysis. However, the Flow MyCloud needs Wi-Fi to work well and cannot stream music; for that you’ll need the Deezer Music streaming App. Like the Flow MyCloud, Deezer is a counterweight App to rival Digicel’s partnership with Rdio, which provides Digicel users with audio streaming. Also, this App works best with Wi-Fi, as streaming, like downloading, will easily use up your Data plan Megabyte allotment. The lack of Apps is an obvious glaring problem. They do not have as many custom Apps as the Digicel AppWorld Store does, which truth be told are really located in the Google Play Store and the Apple iTunes Store, with their website acting as a link to that store. One solution is that FLOW Jamaica can pay Developers for advertising their company’s products and services in their Apps, effectively forming partnerships with Jamaican Developers to make video Games and Business Apps for their Corporate and Enterprise clients. They can also give them useful Cloud Developer tools, possibly choosing developers via a Video Game Developer and Design competition to determine the best developer to code App for their App store. Then there is the App Store itself, which needs to be redesigned and relaunched as an App itself. FLOW Jamaica‘s App store is not smartphone browser friendly and neither is there a WAP version of the store. It would be good that they made an App portal similar to Google Play that would come pre-installed on all FLOW smartphones, allowing users to easily find Apps compatible with FLOW’s products. Digicel AppWorld Store‘s dedication to the concept of tailored Apps is to be admired. it sets the bar fairly high but with a little dedication, FLOW Jamaica can emulate Digicel AppWorld Store and provide a better experience….preferably on free Wi-Fi.